IDAC is designed to help BI administrators keep up with their rapidly evolving BI deployments, giving them both actionable information on their system's security and usage, and the ability to act. 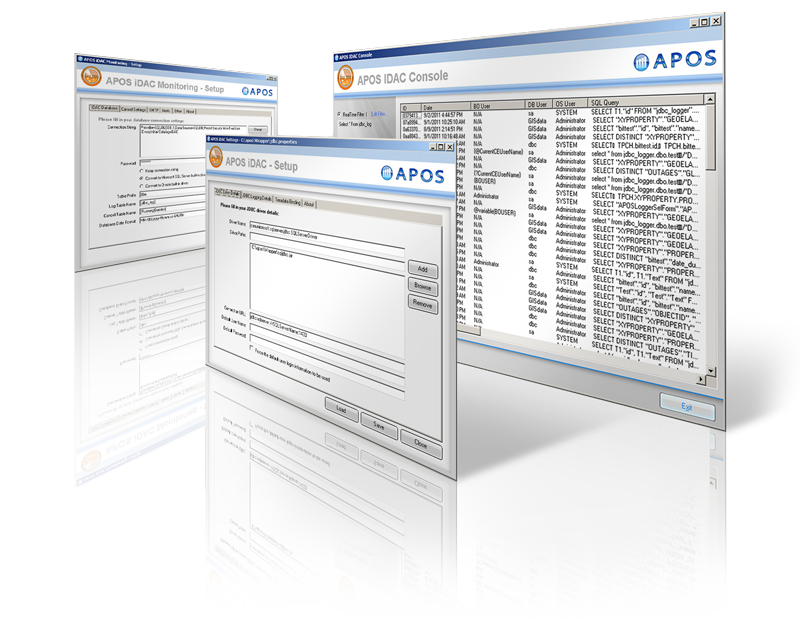 APOS IDAC gives administrators awareness of queries that have run or are currently being run against data sources outside of the BI system, and allows them to manage those queries, and even cancel them if necessary. Track, audit and analyze user behavior to establish usage patterns. Maintain control of your rapidly evolving BI deployment and awareness of self-service BI. Knowledge of system usage, actionable information & alerts ensure your BI users meet corporate governance standards. Monitor & audit SAP BI queries to detect system usage changes and identify potential misuse and bottlenecks. Give sensitive data the protection required by internal governance and external regulation. Implement tight monitoring and control of query processes between your BI system and numerous data sources. Retrieve query metadata to the IDAC database for a complete, auditable record. Alert administrators if any part of the metadata retrieved meets predetermined criteria or surpasses predetermined thresholds. Monitor and audit metadata that would normally be available only to DBAs. Know who is using your system how, where, and when, and detect changes in user behavior.